Now the weather is getting colder, our skin is feeling the effects of the cold weather. With dehydrating winter winds and cold dry air, there can be a lot of skin conditions that can affect our skin during the colder months. The winter air can be extremely harsh, which makes it worse for those who already suffer from dry skin. To combat this, use a nourishing night cream, such as Ommerse® Overnight Recovery Crème. This cream is developed with emollients designed to quickly restore severely dry, dehydrated skin. Exfoliation is especially important in winter, as it sloughs away dead skin cells and allows younger, healthier skin cells to emerge, and also enhances the penetration of other skin care products.We like to recommend the ZO Skin Health Exfoliating Polish—it’s more aggressive than many of the exfoliating creams, because we want to provide a product that’s as effective as can be without damaging or irritating the skin. During the winter, exfoliate every day. Temperature changes can cause flare ups of Keratosis Pilaris. The red, lumpy “chicken skin” can be treated with gentle exfoliation and double your moisturization efforts. ZO Skin Health’s Body Emulsion contains an ultra-high concentration of lactic acid to help this condition. It should be applied to the affected areas. It’s both an emollient and humectant, so it softens and soothes the skin, while also exfoliating. Apply it after showering, while the skin is still damp, and then 2-3 more times throughout the day. For too many people, painfully peeling lips are just a natural part of winter—but it doesn’t have to be that way. Zo Medical Liprebuild is ideal for treating chapped and dry lips. Bioengineered to help reverse and restore severely dry, cracked, wrinkled and chapped lips by using a clinically proven moisture-recycling technology. As hands have fewer sebaceous glands than the rest of the skin, they’re prone to getting dry, especially in winter when they’re exposed to the elements. The best way to deal with this is to treat your hands every day with a hand crème like Oraser® Nourishing Hand Crème. It’s enriched with nourishing shea butter and skin conditioners to help restore hydration. You might think that acne is something that only teenagers suffer from, but adult acne can affect up to 55% of us! 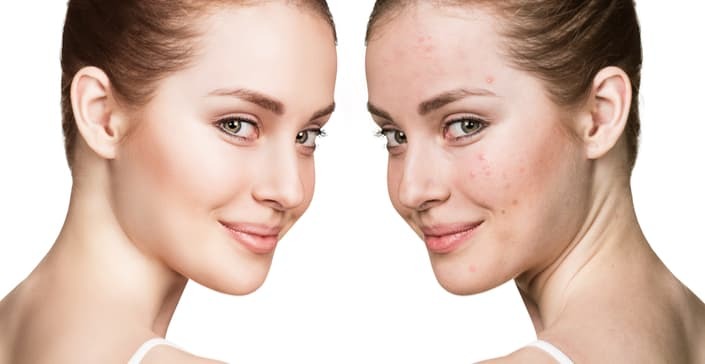 You may wonder how acne in adulthood differs from the type you suffered from as a teenager, and there’s quite a difference, from causes to how it’s treated. Adult acne differs from teenage acne. Adults who suffer from acne tend to have breakouts on their chin and around their mouths and jawlines. This is caused by slower cell turnover, which allows oil to build up and cause inflammation, cystic acne and pimples. Adult skin is more delicate than teenage skin and tends to dry quicker. This means that acne treatments will need to be gentler on the skin. Look for salicylic acid products with a lower percentage, like our ZO Skin Health range. Teenage acne usually starts in puberty, when our sebaceous glands start producing oil. Teenage acne tends to show up all over the face, and back, chest and shoulders. The best way to treat teenage skin breakouts is with a more aggressive approach. Teenage skin is a lot more durable and thicker than adult skin. Also young skin that produces too much oil needs more aggressive treatments to reduce the presence of p.acnes bacteria and dry up all that oil that causes the areas around nose and cheeks to shine. Our ZO Medical range is perfect for a more aggressive approach. 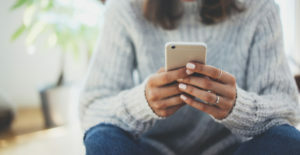 Did you know that on average we spend about 10 hours a day looking at computers, smartphones on tablets? If you did, did you also know that HEV light from this could be affecting your skin? The blue light, or high-energy visible light emitted from our electronic devices can affect our vision and sleep patterns, but it can also affect your skin. HEV light exposure can lead to pigment changes, and accelerated development of fine lines and wrinkles. This is because HEV light impairs the skin’s natural barrier function. Rather than cause burning or redness, it goes deeper than UV rays, damaging the skin’s collagen, elastin and hyaluronic acid supplies. HEV also affects the melanin production of the skin, which can create hyperpigmentation and discolouration in the skin. How can we block HEV light? While most skincare products are only just starting to add HEV blockers to their ingredient list, ZO Skin Health already offers complete protection from HEV light. Oclipse Broad-Spectrum Sunscreen SPF 50. Sensitive skin? Not a problem. This sunscreen shields skin from HEV, UV and IR-A. Made with fractionated melanin, the formula protects even the most sensitive skin and comprises a blend of powerful antioxidants to prevent free radical damage. The super-potent Melamin™ Skin Bleaching & Correcting Crème contains 4% hydroquinone to bleach and lighten skin. Brightenex, available in two strengths, helps even skin colour and tone. It can be used as a first step in treating hyperpigmentation or a maintenance product. Another best-seller is Ossential® Brightalive Non-Retinol Skin Brightener which treats hyperpigmentation without the use of retinol and hydroquinone, making it an ideal choice for sensitive skin.